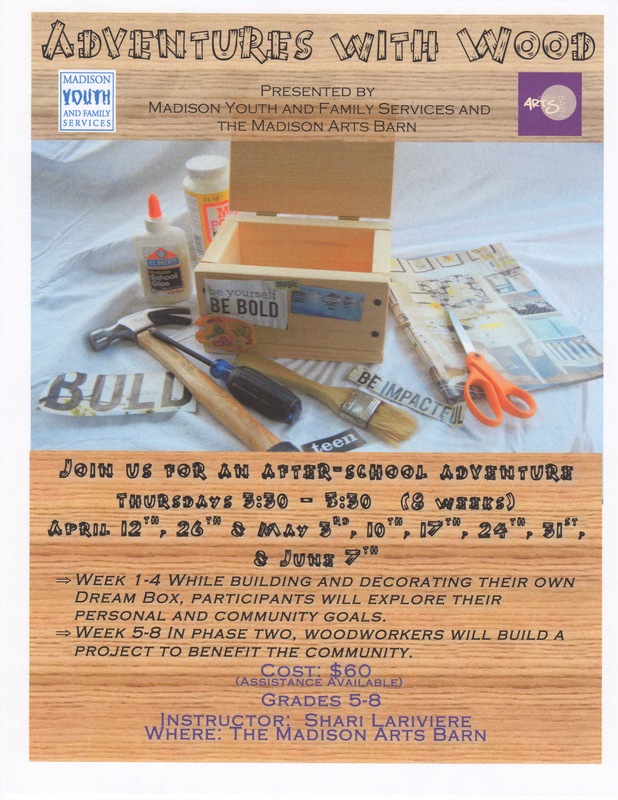 There is still time to sign up for this exciting program at The Madison Arts Barn. Come join us for an after-school adventure to explore personal and community goals while building your own dream box and race cars for children in need. Space is limited so sign up now under buy event tickets.